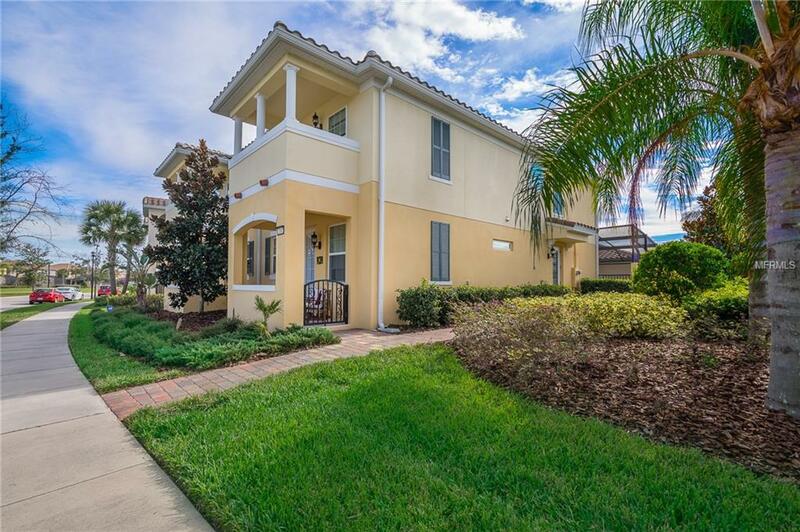 Come to take a look at this stunning 3 bedrooms 2 baths and 2-cars garage town home design located in the heart of Lake Nona. Enjoy cooking in the elegant kitchen style with breakfast bar as well as tile floors, wooden cabinetry, granite solid surface, stainless steel appliances and the authentic wall decoration to display your favorite wine collection. This property features 1820 sqft of safety by an alarm service included on the rent, along with lawn maintenance, internet, and basic cable. This home also features a spacious dining room and living room combo with laminate floor, a generous sized laundry room with wooden cabinets and a sink, a covered patio and 2 water view balconies. The Town home is located in a 24 hour guarded/ gated community which features resort style swimming pool, lap pool, tot lot, walking paths, library/ business center, multi purpose ballroom, tennis, and basketball courts and not to mention a beautiful town center with gas station, deli/market, hair salon, photo studio, and spa.